We need to be where our customers are, but our firm has talent solutions which serve multiple industry verticals, so generic cross industry events are too hit and miss for us. We needed to access high quality, industry specific communities of people leaders who have their own budget, decision making ability, and – above all – a mandate to drive real change inside their organizations. 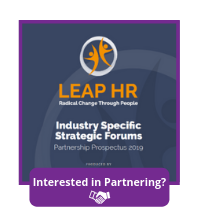 Because LEAP HR builds such high quality communities of people (talent) leaders across 10 different industry sectors, we were able to target multiple markets through just one partner. That not only allowed us to benefit from economies of scale, and know exactly what we were getting at each event, but also meant that we were able to develop a really effective working relationship with the LEAP team, who are second to none. 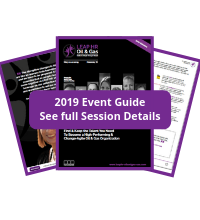 The sales teams we send to LEAP HR events tell us that these conferences are a vital part of their business development strategy. They return from each conference with warm leads every time which are actively followed up on, and in a number of cases, the relationships we’ve developed at a LEAP HR event have converted into business potential.